Hey guys, it’s me, Michelle! I hope you guys are doing ok. I’m here to do another review. 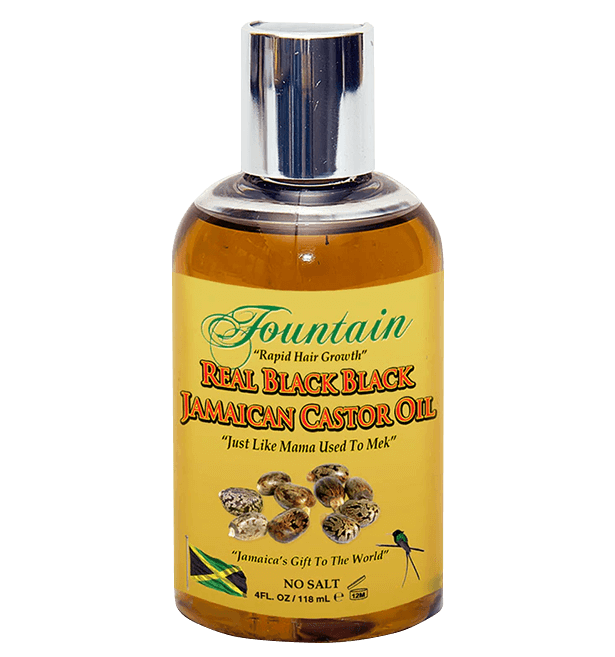 Fountain Real Black Black Jamaican Castor Oil arrived a few weeks ago. The oil is 100% organic and vegan. 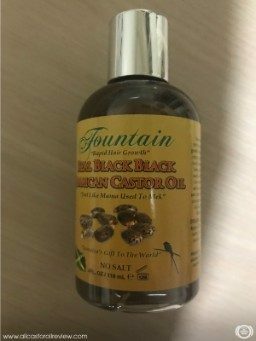 From what the label says, this oil works great when applied to hair, especially damaged locks. I can’t wait to try this product. Let’s begin! The package was delivered to my doorstep three weeks ago. It came in a small Amazon box. Inside was the bottle covered in bubble wrap. I found a brochure inside the package. It has information about Fountain Oil’s products and their benefits. The way that the bubble wrap covers the bottle is pretty secure so I know there’s no risk of leakage. When I removed the bubble wrap, I was surprised at how classy the bottle looked. I really liked the clear container because I can see the oil. The clear plastic container is durable. 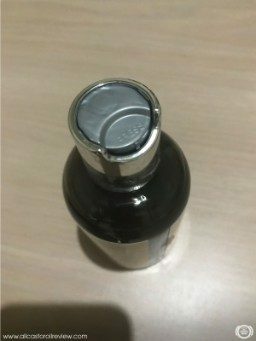 The product came with a press cap. You press one side and the other side pops up where there is a small opening for the oil to come out. 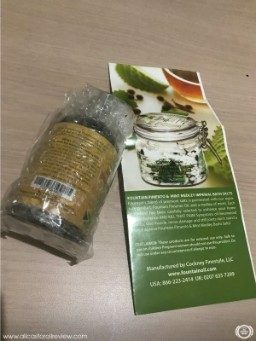 The label has all the information you will need like the ingredients, manufacturer, benefits, and instructions on how to use the product. The oil doesn’t smell unpleasant to me. I actually like its earthy fragrance. 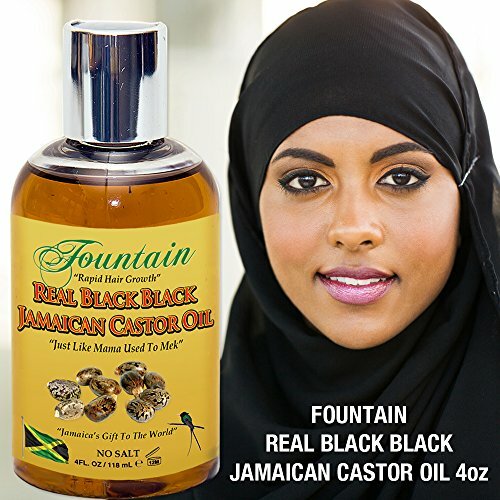 The first thing I noticed about Fountain Oil Castor Oil is its color. 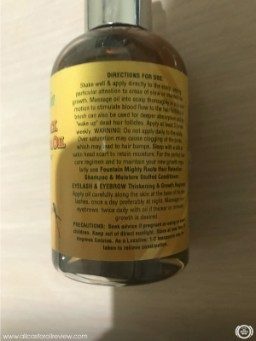 It has a dark amber color, different from cold-pressed castor oil. 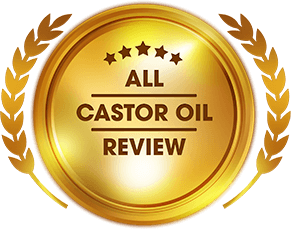 The color of the oil became dark because castor seeds were roasted before cold-pressed. It gives the oil a burnt roasted smell too. As expected, when I opened the cap, I immediately smelled the oil’s roasted scent. The oil doesn’t smell unpleasant to me. I actually like its earthy fragrance. The comforting scent of the oil smells like our fireplace in the chilly mornings of December. To test the thickness and absorption rate of the oil, I pressed one side of the cap and squeezed out enough oil on my fingertips. I applied the oil on a small area at the back of my hands. The oil has a paler amber color when used in small quantities. I smoothed it over and rubbed in circles until the oil absorbed into my skin completely. The feeling of my skin after was really glorious. My skin felt plump and has a velvety texture. I think the oil is a good moisturizer for hair because it absorbs fast without leaving an oily residue. But every time I remove the shower cap, I can’t help but touch my hair since it looks so shiny and soft. I thought really hard on how to use the oil so I can draw out its full benefits. 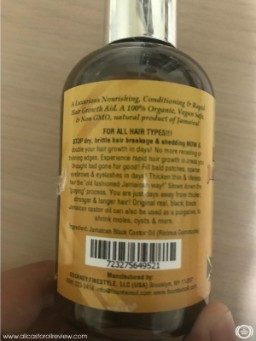 Since it is recommended for hair growth, I wanted to see if the oil can make hair grow longer in just two weeks. My hair is around 16 inches when dry. When wet, it can reach up to 19 inches. I’m investing a lot in hair products nowadays because I want to grow my hair longer. I visit salons regularly for a trim so it looks like my hair is not growing. Part your hair into four sections. Use a clip to keep each section separated. Shake the product well before squeezing oil into a clean glass bowl. Take enough oil to cover entire hair and scalp. Take enough oil on palms and apply to scalp and a section of hair. Repeat this step until you’ve applied oil on entire hair and scalp. Cover hair and scalp with a shower cap. Wrap a scarf or old t-shirt around shower cap to prevent oil from staining pillows and bedsheet. Leave it on overnight and wash off with your favorite shampoo and conditioner the next morning. Avoid applying too much oil to prevent oversaturation. 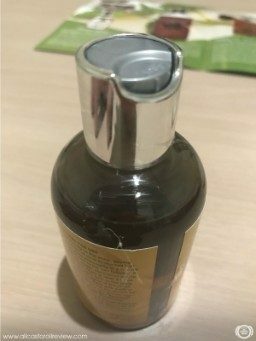 It can make your hair limp and oily. This may lead to clogged hair follicles as well. This simple routine is not as time-consuming as hot oil treatment. I can just sleep as the oil works its wonders on my hair. In the morning, I can proceed with my usual routine. I only have to do this every other night too. But every time I remove the shower cap, I can’t help but touch my hair since it looks so shiny and soft. When I measured my hair after two weeks, it looks like it grew another inch when wet. I was surprised by this because the growth is evident even when I didn’t measure my hair. I want to try this product for a few more weeks to see if it can make my hair grow longer. I also used Fountain Oil Castor Oil as a serum on my eyelashes. It’s been a few weeks since I last used castor oil as serum for my eyelashes. I wanted to see if it can make my lashes look thicker, which is why I applied the oil before putting on mascara. It gives my eyelashes the illusion of being thicker and longer. First, I applied the oil on my upper lashes from the inner area going outwards. I use zigzag motions on the roots and an upwards motion on the tips of my eyelashes. The zigzag motions separate strands so when you apply mascara later, there will be no clumps. I use the brush on my lower lashes without the zigzag motions. I let the oil absorb into the strands before I apply the mascara. I apply the oil before I do my eye makeup to make sure that it absorbed well into my lashes. I liked how the oil made my eyelashes look fuller and darker. I didn’t even need to use fake lashes. It managed to prevent eyelashes from falling out when I remove my makeup too. The oil is so easy to use, I just transfer enough oil to a mascara bottle and apply it on my lashes. I also loved how the product made my eyelashes look thicker and fuller naturally. I didn’t have to use fake lashes anymore. 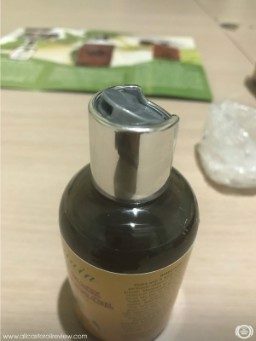 I never thought that using this oil can make my hair grow longer. It’s one of the frustrating things that happen when you have curly hair – your hair never seems to grow. It takes years before you see changes. However, just two weeks of using Fountain Oil Castor Oil made my hair grow an inch. It was more than what I expected. I would recommend this oil to anyone who has curly hair or thinning hair. I also loved how the product made my eyelashes look thicker and fuller naturally. I didn’t have to use fake lashes anymore. The container of the product is really handy because I can take it anywhere and use it as an anti-frizz serum. Fountain Oil’s first product is pimento oil. 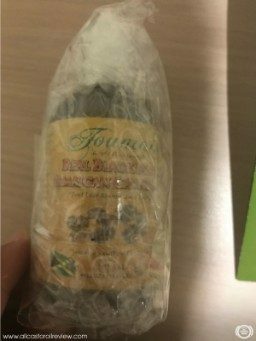 The founder of the brand first experienced the healing and soothing effects of pimento oil in Jamaica. Surprised with its therapeutic benefits, Fountain Oil started their brand with pimento oil. They expanded their collection to create natural oils that have unique benefits for the skin, hair, beard, and body. Their products are free of harmful chemicals and preservatives. The brand offers a wide selection of soothing oils for massage and nourishing products for skin and hair. They ship anywhere in the US. The brand promises to give a full refund for unopened items within two weeks of delivery. Fountain Oil has a dedicated customer service team you can contact anytime as well. The brand has great service and a wide selection of quality products you should try.